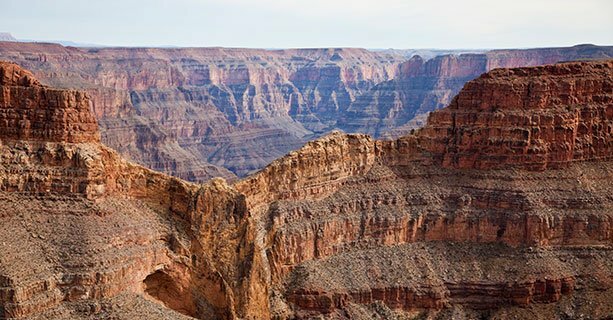 Do your travel plans include a visit to Grand Canyon West? 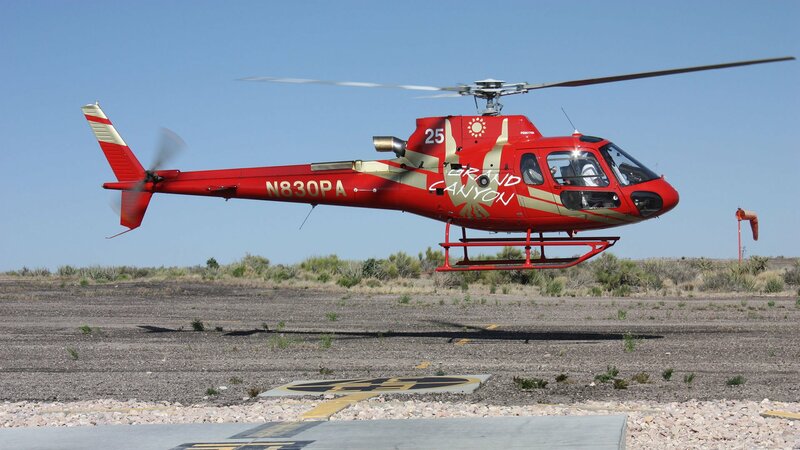 There's no better way to see the canyon than aboard a thrilling helicopter flight! 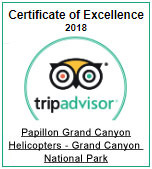 Take in the breathtaking sights as you fly above Eagle Point - home of the famous Skywalk glass bridge, Guano Point, and other areas of the canyon landscape. 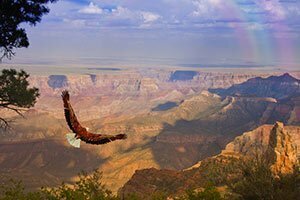 This tour includes full-access to the West Rim, including a shuttle service with stops at exciting points of interest. The first stop is Hualapai Ranch, where cowboys put on a show reenacting the old west gunfights. Then, stop at Eagle Point and marvel at the enormous eagle-like rock formation. You'll also explore Native American dwellings from several tribes and enjoy cultural music and dancing. 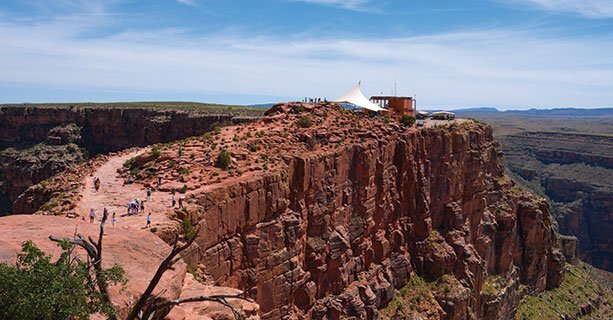 Guano Point is the final stop, featuring mesmerizing panoramic views of the canyon. 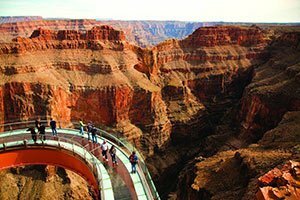 This all-encompassing tour is the only way to experience the entire West Rim! 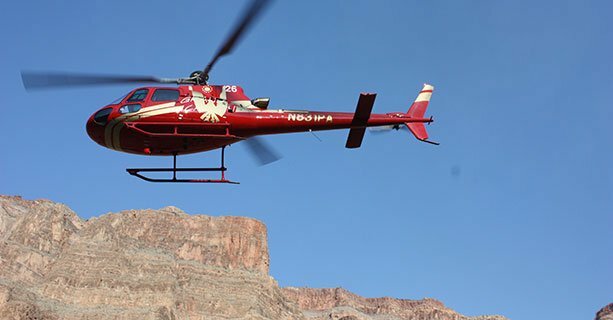 Arrive at Grand Canyon West and check in for the helicopter flight over Grand Canyon West. 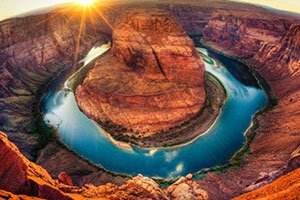 See the Grand Canyon West from above and witness its depth and beauty. 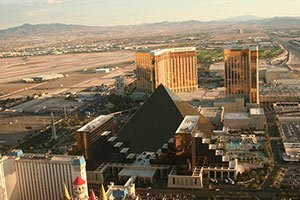 Return to the terminal and continue by shuttle to multiple stops on the rim. Enjoy live entertainment and cowboy-themed activities in an old Western town setting. 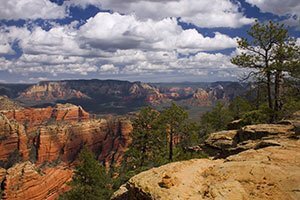 Visit Eagle Point and Guano Point. 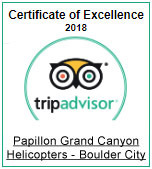 Both areas offer spectacular views of the canyon. Return to the terminal with photos and memories to last a lifetime. If assistance is required in boarding and disembarking, passengers must provide companion or attendant to do so. Guests will be notified at time of check-in if space limitations will prevent their accessibility equipment from being brought onboard. This is an air-only tour. Should your equipment need to be left at the terminal, it will be stored safely and waiting for you upon landing. Guests must reach the West Rim air terminal 45 minutes before their flight time.